The basic but main part of any burgers or sandwiches or any kind of stuffed junk foods are the yummy creamy coleslaw dressing. Coleslaw is the basic salad consisting primarily of finely-shredded raw cabbage and carrot and dressed most commonly with a vinaigrette salad dressing. Prepared in this manner, this can be pickled for up to four weeks if it is stored in an airtight container. Another way to make coleslaw is to use foods that already contain vinaigrette: mayonnaisefor example, is commonly used. It is the main side dish in the fast chain foods. There are many variations of the recipe, which include the addition of other ingredients such as red cabbage, pepper, shredded carrots, onions, grated cheese, pineapple or apple, mixed with a salad dressing. Such as mayonnaise or cream. A variety of seasonings such as celery seed may be added. The cabbage may come in finely minced pieces, shredded strips, or small squares. Other Coleslaw variants include broccoli which uses shredded raw broccoli in place of the cabbage. This recipe is a classic method of preparation. As in, the classic. Green cabbage, shredded carrots, creamy dressing. If you’re looking for solid, dependable coleslaw that promises to play nice with all the burgers and hotdogs at your next backyard party, then here it is. Mix all the ingredients with a spoon. 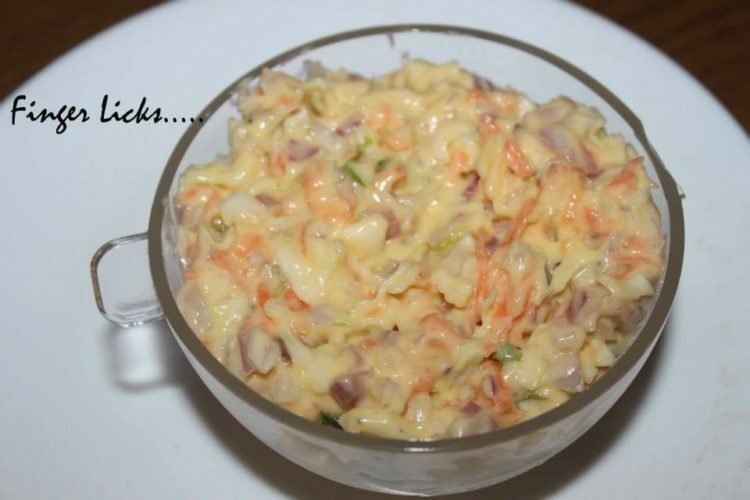 You can have this creamy coleslaw dressing with sandwiches or burgers.